The information technology industry enjoys steadily diminishing barriers for market entry and struggles with ever diminishing windows of opportunity. A steadily increasing number of competitive products and services have to make it to market leadership at an ever increasing speed. While developing a new meaning- and useful product or service that the market really wants can be done in less and less time, we still struggle finding the formula for exposing the value proposition to enough potential customers before someone else has taken the money for something similar or for something else. While the cost of scaling the use of a software based product or service is close to zero or at least declining according to Moors law, the cost associated with scaling marketing and sales are not governed by the same laws. Rather they keep increasing. However, it is not only a matter of money. It is just as much a matter of finding, engaging and managing the skills, competences and experience required to scale the marketing and sales operations at a global level. For most information technology companies exactly that represents the biggest challenge of all. Over the last 10-15 years we have seen the proliferation of companies offering “Revenue generation as a service” as a response to the situation described above. Is this a viable solution for technology companies and will we be seeing growing use of such services? Let’s just face the brutal facts: Marketing and sales is not the core competence of most information technology companies and that is the primary explanation that they may make it out of the startup stage, but they very rarely make it to the tipping point and beyond. I have interviewed Rick Pizzoli the founder and CEO of Sales Force Europe. Rick has been operating his “revenue as a service” model for more than 10 years and now has over 50 sales and marketing professionals across Europe working exclusively for technology companies. Hello, I am Hans Peter Bech and today I am interviewing Rick Pizzoli the founder and CEO of Sales Force Europe. Sales Force Europe is a “revenue generation as a service” provider that operates across Europe. Rick, thank you for taking the time to participate in this interview. Rick, please tell us, what is a “revenue generation as a service” provider? So what is the profile of your typical client? How does the business model work? How do you charge for your services? So you carry the business cards of your clients? Let’s imagine that we have a technology company. They are out of the startup stage and are generating revenue with their current marketing and sales operation in their domestic market. Now it is time to scale the business and grow revenue and they basically have two options. Option 1 is the traditional approach of hiring more people and opening new offices in foreign markets. Option 2 is to engage with an international “revenue generation as a service” provider like you. Rick, can you tell us what’s the main difference between these two scenarios? I am a little curious here. I suppose your people are busy. How can make resources available within such a short time frame? Working with a service provider requires some level of competence and skills on the client’s side. What is required for working successfully with a “revenue generation as a service” provider like you? Finding competent and skilled marketing and sales people is extremely difficult. 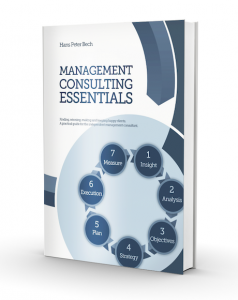 How do you tackle this challenge better than your clients? I assume you see a growing market for “revenue generation as a service”. Why is that and how do you expect the market to develop? What are the most common misconceptions that potential clients have when they come to you for help with revenue generation? So what I am hearing you say is that using a “revenue generations as a service” provider to break into a new market is not so much about saving money, but more about savening time? Rick, let’s imagine that a client has been using you, but they come to a stage where they want to employ their own resources. How do you facilitate this transition. So if your client wants to move from using your company to employ their own resources and the people you have on the case agree tone employed then you facilitate this process? Thank you very much for your time Rick. I am sure those watching have learned something new about this growth option as an alternative to hiring your own staff and opening your own offices. You can find more about Rick and his business on his web site and I have listed his contact details after these closing remarks. 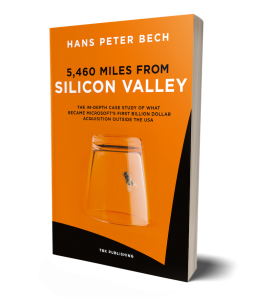 I am Hans Peter Bech, thank you for watching and please visit our web site for more free resources on how to grow faster than the market and faster than your competitors and make it to global market leadership – the only comfortable position in the information technology industry. 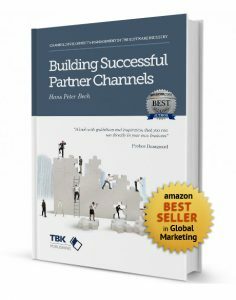 This entry was posted in Sales, Strategy and tagged information technology, revenue generation, Rick Pizzoli, Sales Force Europe. Bookmark the permalink.